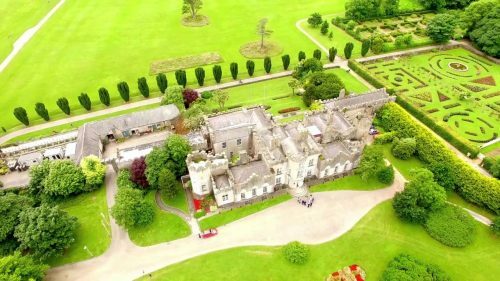 Is a magnificent castle set on 250 acres of parkland with a story dating back to the 12th Century. 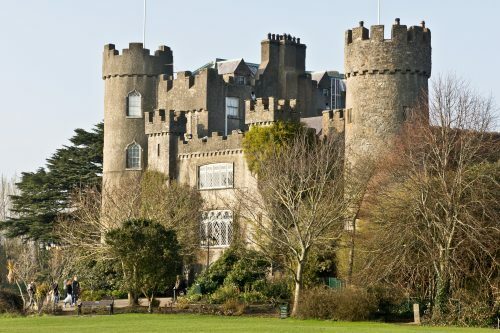 Located along the beautiful North Dublin coast and close to the picturesque seaside village of Malahide, The Castle was owned by the Talbot family for nearly 800 years. 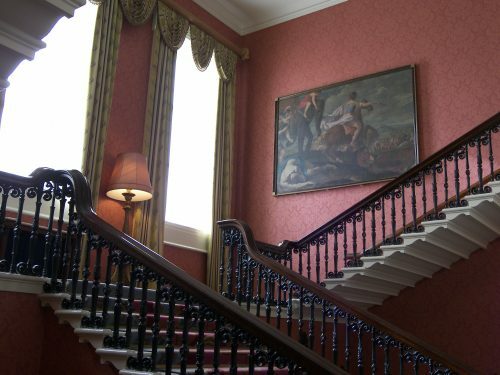 The castle is furnished with beautiful period furniture and an extensive collection from the National Gallery of Ireland. Friendly and knowledgeable tour guides tell the fascinating story of the Talbot family and their time at Malahide Castle, exploring the main reception rooms and bedrooms throughout the castle. A walk around the ornamental gardens adjoining the castle is a ‘must’. The West Lawn covers an area of 22 acres and the Walled Garden behind the Visitor Centre covers approximately 4 acres. 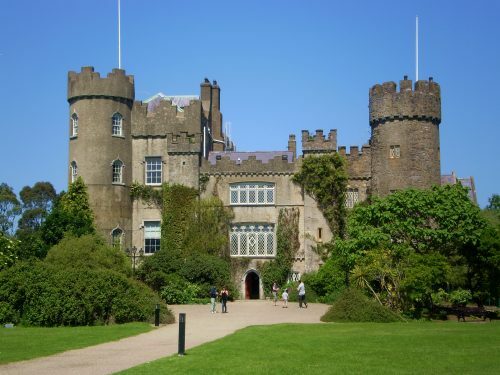 Both were largely created by Lord Milo Talbot, the last Lord Talbot to reside at Malahide Castle. The gardens are best described as a small botanical garden, with in excess of 5,000 different species brought from all around the world. In addition to the abundance of flora, the ‘Garden Exhibition’ presents fascinating stories about Milo and his glorious gardens. There are four main reception rooms and bedrooms open to the public as part of our guided tours of the castle. Our knowledgable and friendly guides will take you on a journey through time and give you an extraordinary glimpse into the life in the castle during the 800 years that the Talbot family resided there- right up until 1975! 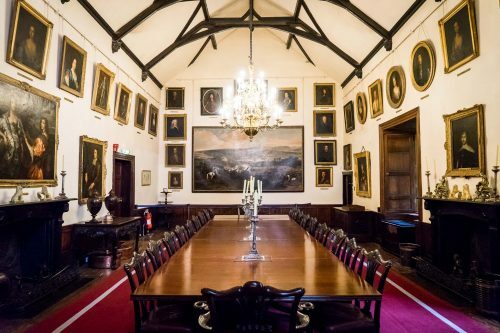 Highlights of the tour are the beautiful reception rooms, The Oak Room, The Small & Large Drawing Rooms and the Great Hall, home to the original Battle of the Boyne painting on loan from the National Gallery of Ireland. Is located in the visitor centre and offers the full retail range including, throws & blankets from the Avoca Mill, fashion, homewares, gifts & beauty collection. The spacious Avoca Cafe is the perfect spot to enjoy a delicious lunch overlooking the Walled Botanical Gardens, serving a range of wonderful seasonal fresh dishes and a mouth watering selection of freshly made cakes & buns! The outdoor terrace is a beautiful vantage point to enjoy the gardens…just watch out for the Peacocks which like to show off to our visitors from time to time! (Irish: Na Sceirí, meaning “The Rocks”) is a seaside town in north County. Dublin. The name comes from the Norse word skere which has descended into the Irish word na sceirí which means the rocks. 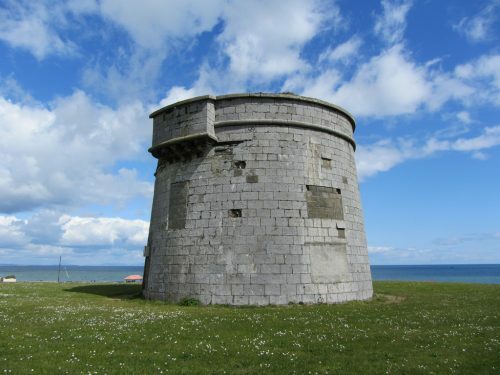 Skerries has two Martello Towers. One is located on Red Island, the other on Shenick Island. These are 2 of approx 50 towers built by the British in the early 1800′s as a defense against a possible Napoleonic invasion. The name ‘Martello’ is thought to be a corruption of Mortella, a place in Corsica where a fortified tower was used to resist British forces during 1793. The British copied this design as they were so impressed with it. They are all similar, being built of solid stone, usually granite. The walls are nine feet thick. Each tower has a guardroom and an ammunition store. There is a platform on top, on which three cannons were placed. The entrance to the tower is through a door, which was usually between ten and fifteen feet from the ground. Each tower was built in a position where one could see the two towers on either side. The invasion that the British feared never happened. Over time these towers have passed into private ownership or have been converted for other uses. The tower on Red Island was used as a ballroom in the 1920′s, which was replaced in the 1940′s by Toft’s Amusements. This tower is unfortunately closed at the present time. Since the 12th century flour has been milled at this unique location. The fully restored complex brings to life the authentic workings of a five sail windmill, four sail windmill, water mill and bakery of the 1800’s. This provides the visitor with examples of how wind and water energies were harnessed by our ancestors. 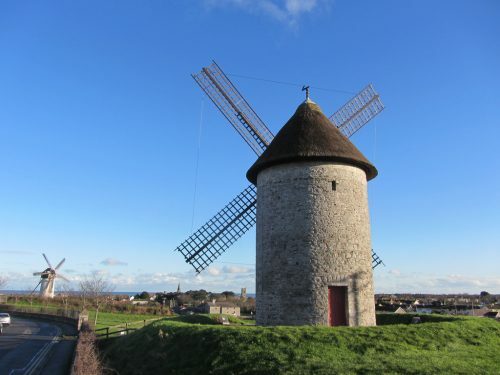 Skerries Mills is a unique collection of two windmills and a watermill with associated mill pond, mill races, wetlands and is an ideal place to visit on a day trip. The Mill complex also houses the Watermill Café and the Craft Shop. Guided tours are available daily and last approximately 50 minutes. During your tour you will be accompanied by a guide who will show you the history of milling and Skerries Mills. Try your hand at stone grinding flour, then see the water wheel in action turning the sheives, shakers, blowers and all inside the mill. Take a walk across the crop field and go up inside the four sail windmill then onto the five sail Great Windmill of Skerries which dominates the local skyline. 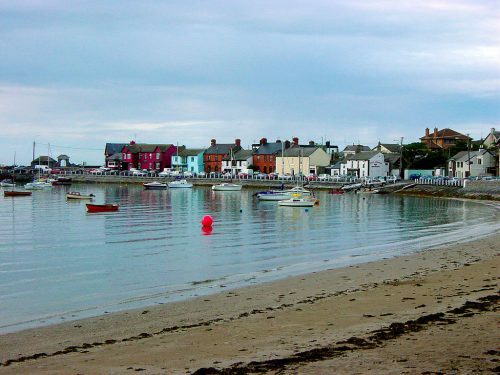 There are view of the town as well as the islands off Skerries and the coastline as far as the Mourne Mountains. Later – enjoy a relaxed refreshment in the Watermill Cafe where we bake daily and have a wide variety of hot and cold food available or browse in our award winning craft shop for that souvenir or special gift. We are stockists of high quality Irish made crafts and giftware. This national monument are the ruins of a fortified church constructed by the Knights Templar in the 13th century. 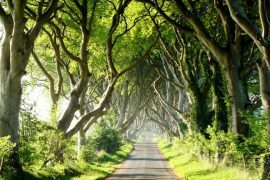 It is located between Lusk and Skerries in north co. Dublin. A castle which lay adjacent to the church has completely disappeared. This odd looking church was built in the 15th century and was furnished with a 70 foot high fortified bell tower. The castle was the home of the ‘Berminghams’ and the ‘Barnwells’ until the Cromwellian invasion. A group of Irish anti-Parliamentarians called ‘The Confederates’ held the castle until 1652 when it was pummeled by the artillery belonging to the forces of Colonel Trafford. Everybody caught within the walls were executed except two priests who had also sided with ‘The Confererates’. These men were tortured and finally deported to France. There is a local name given to a nearby field called the “Nuns Stood” where supposedly the ‘Nuns of Baldongan’ stood and watched the utter destruction of the castle. Lusk Heritage Centre comprises of a 9th century round tower, a medieval belfry and a 19th century church. They form a unit, although they were built over a period of almost a thousand years. The belfry now houses an exhibition on Lusk and medieval churches of Fingal and also the magnificent 16th century effigy tomb of Sir Christopher Barnewall and his wife Marion Sharl. 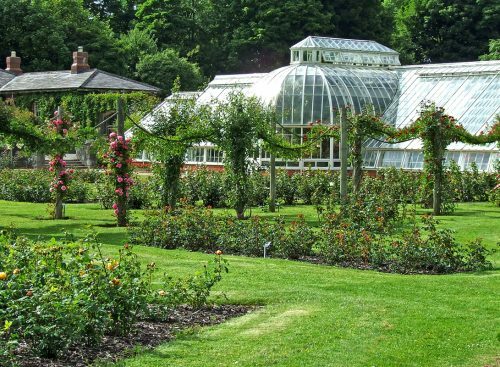 As well as the castle, the demesne features a walled and rose garden both of which present an orderly profusion of colour, Today the demesne is a stunning visitor attraction with a range of facilities the public can avail of, including castle tours, theatre events, afternoon tea, children’s parties plus much more! As well as the castle, the demesne features a walled and rose garden both of which present an orderly profusion of colour. Access to the castle is by guided tour only. Tours are available on demand. Our team of tour guides are both experienced and friendly with a great knowledge and understanding of the castle and its family occupants, The Taylors. The Ardgillan Castle tour is approximately one hour long and is an amazing opportunity to experience history at first hand. Many periods of social history are brought to life with the focus firmly on the family who once lived in the castle. Visitors will get the chance to explore the castle and enjoy the same atmosphere that the Taylors experienced from 1738, when the castle was built right up to 1962, when it was eventually sold. Enjoy a leisurely afternoon in our stunning Drawing Room, an inspirational Downton Abbey-esque ambiance that once belonged to the Taylor family, savouring a selection of delectable treats. 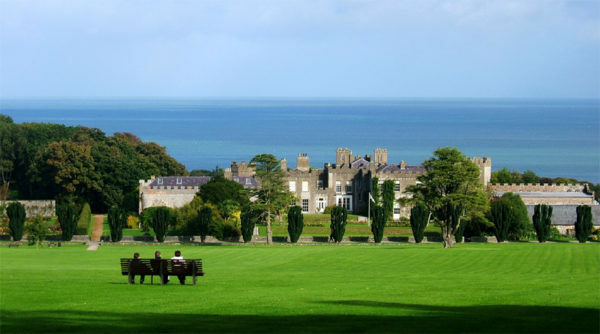 Soak up the eighteenth century setting and embrace the character of Ardgillan. Sit back, relax and enjoy. END TIME Approximately 5:30 PM. Tours start at 11.00 am and are on demand. Last tour is 2 hours before close of business. Adults €6.50, Students and Seniors €5.00, Family (2 Adults & 2 children under 12) €13.00. We can customise this or any tour to facilitate your interest and preferred destinations.